Aluminium frames with new leather look alike black vinyl. 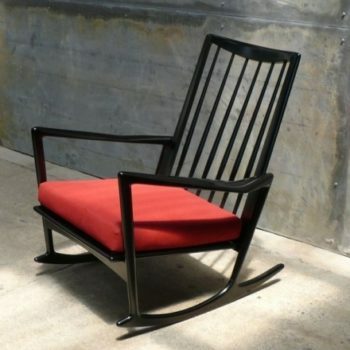 A functional pair of office or lounge chairs by this famous Swedish designer. Combining strength and comfort, this pair of chairs does both. Manufacturers original label still attached.